At a time when anti-immigrant executive orders and travel bans against individuals from Muslim-majority countries have been blocked by federal courts, it is instructive to look back at the first anti-immigrant law directed at a racial minority group: the Chinese Exclusion Act. 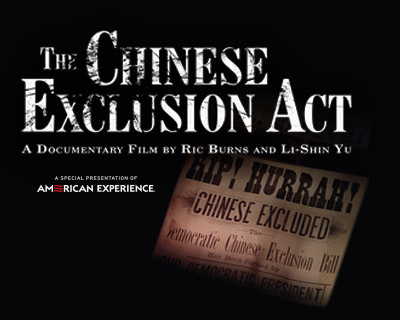 Join us on Tuesday, May 23 at 6:30 pm for a special screening of an excerpt from “The Chinese Exclusion Act,” a PBS documentary exploring this legislation, followed by a discussion with award-winning filmmakers Ric Burns and Li-shin Yu. This Asian Pacific American Heritage Month event, hosted by Gibson Dunn’s New York Asian American Affinity Group, will take place at 200 Park Avenue, 46th floor. RSVP to mduffy@gibsondunn.com. Space is limited.